For many companies, the UPS system is an essential part of the overall critical power supply equipment. Whether the system is used to support a data center or gives a solid power backup for any company that works under harsh environmental conditions, the UPS plays a very significant role. Hence it is very basic that you choose the right type of UPS to support the power needs of your organization and not buy just anything that looks attractive to the eye. Here are the most important tips as suggested by UPS dealers in Chennai that will guide you into purchasing the right UPS for your business. UPS systems are not just designed in the same way, so choosing the wrong type of system for the load that you intend you use it could prove fatal. It is highly important that you close in on the right specifications as per your environment. As an example, the cooling fan in the UPS has to be appropriate as per the requirement and usage of the system. Similarly, if an environment is corrosive, then the UPS has to be sealed hermetically or at the least be protected against the odds of the work environment. You need to check the cooling systems and make sure that they as per recommendations for the smooth running of a UPS. The most significant part of the UPS is the battery system as that is the place where the backup power supply is stored. In case of an environment with elevated temperatures, the lifespan of the battery is reduced below the standards. So it is ideal that the environment is considered before buying the UPS that will sustain in it. There is a wide belief that the capital cost of the UPS is only about fifty percent of the total cost that you would be spending overall through its lifetime. The UPS requires maintenance, battery replacements, capacitor or fan replacements, all based on the usage. A UPS system will mostly require at least three batteries in its lifetime. When buying a UPS, you need to be sure of the type of battery that you would be using. If you are planning to purchase the UPS along with an extended warranty, then it could minimize the overall expenses of the unit. Also, if there is any proprietary software that is installed in the UPS, then the service costs could be more in the future. The efficiency is also an important component when we consider the overall cost of a UPS system. An efficient one can save you some money whereas an inefficient one will make sure that you send a lot of money down the drain. You should do a proper analysis of your present and future loads that may have to be supported by the UPS. 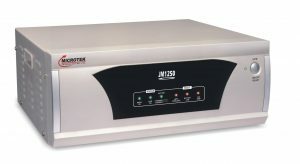 Mostly, a UPS is used to support high-grade computers and network switches; these have to be taken into consideration before deciding on the right UPS for your business or home. If you are not sure about the capacity of the load, then discuss the same with the UPS sellers and take opinions about the type of UPS that will be suitable for the smooth operations. The power infrastructure is also an important thing that has to be taken into consideration before deciding on the UPS. The power situation in your location, the frequency of spikes or sags, the stability, and the locality power range has to be kept in mind. The reliability of the generator should also be taken note. 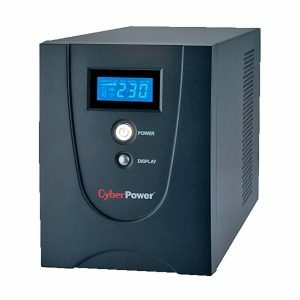 If your UPS can hold power only for a few minutes, then the power supplied by your generator has to be significant. For most of the businesses, the time that is lost is equivalent to money lost. The power outage could have a major impact on the business. The downtime has to be analysed properly in order to choose the right UPS for the business. In some cases, the downtime may not make a significant impact, whereas, in some like healthcare industries, the downtime could make a drastic difference and even a life and death situation for the patients. The MTBF, mean time between failures is also a crucial aspect to consider when you have to buy a UPS for the business.